Many individuals are perplexed about the current low gold prices especially with all the madness in the world. It just doesn’t make sense. The quantitative easing experiment has failed to stimulate any economy but has pushed prices of equities, bonds and property artificially high, just as Bernanke said it would, giving many individuals the illusion of greater wealth. But, this has only benefited the small minority of people on this planet, while the majority has suffered from an enormous transfer of wealth. This massive transfer of wealth has been caused by the major central banks that have dropped interest rates to record lows and in some cases to negative, thus penalising the savers and favouring the speculator. And, geopolitical tensions and domestic unrest are increasing almost daily. Investor sentiment regarding gold is very low at the moment and traders remain fixated on the possible interest rate hike from the Fed. Yet, demand for physical gold remains extremely strong from Asian countries in particular China and Russia. Many investors saw the lower gold price as a reason for some gold mines to close. However, as yet most gold producers have opted to cut costs rather than shut down their operations entirely. Miners have taken diverse approaches to making such cost reductions, including lowering salaries and reducing employees. But perhaps the most common approach has been to cut down on exploration. Many gold miners are directing all their money at their existing operations rather than searching for gold elsewhere. While that’s not a problem just yet, many market watchers believe that ultimately gold may be in short supply. While supply and demand are key factors in the gold market, it’s important for investors to be aware that they’re not the only things that can have an impact on the metal. Although, Ben Bernanke would disagree, gold is a monetary metal whose price is determined by inflation, by fluctuations in the dollar and U.S. stocks, by currency-related crises, interest rate volatility and international tensions, and by increases or decreases in the prices of other commodities. The price of gold reacts to supply and demand changes and can be influenced by consumer spending and overall levels of affluence. To illustrate this point, lets’ take a look at the price of gold, the South African Rand, the US dollar and the Krugerrand since 1980. After the big run up in prices in January 1980, the price of gold drifted lower and in March 1980 the average price of gold was around USD 600 per ounce. At the same time, believe it or not the South African Rand was exceptionally strong and one dollar only bought around 0.70 cents South African. Can you believe this? Now it buys more than 14 Rand. 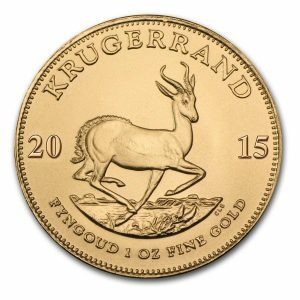 At the same time, the price of a Krugerrand was around ZAR 550 each. Now, if in 1980, you chose to buy physical gold bullion, today, your gold is worth USD 1060 an ounce. If on the other hand you chose to hold South African Rands and simply stored them under your mattress, all you would have is still Rand 550. But, the purchasing power over the years has been greatly diminished. In 1980 you could have rented a two bedroom apartment in a good suburb for that amount…not today! If you had bought US dollars, at the time you would have received around $620. Today, those dollars are worth around R9000. 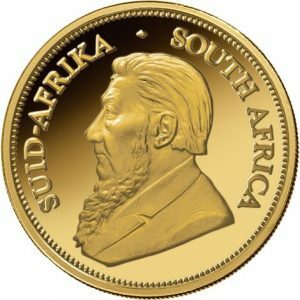 But, if you had gone with the Krugerrand at around R550, today that coin is worth around R16,000! For most financial transactions today, gold is irrelevant. Wall Street can carry on quite happily without ever even thinking about gold. But, many individual including myself, believe in precious metals. In an interview in 2014, Jim Rogers, billionaire and cofounder of the Soros Quantum Fund, publicly said he thinks there is going to be financial chaos over the next decade: “It could be a monetary disaster or even war. This turmoil could come from a gigantic debt problem, for instance, which could cause world economies to fall apart as well. Politicians don’t know what to do besides printing money—so that’s what they end up doing. We will see a wave of turmoil from all this that will surely take gold higher.” He confirmed he hadn’t been selling any of his gold. As I have stated countless times, it is essential to own gold as a form of insurance against government and central bank madness. If you live in South Africa and think the government are doing things in your best interest, think again. In South Africa, the Auditor General has reported that there has been irregular expenditure of R25.7-billion across the country’s national and provincial departments and public entities for the 2014-2015 year. If there is a silver lining to his office’s general report on national and provincial audit outcomes, it’s that irregular expenditure decreased by 27% from the previous year’s figure of R35.28-billion. The report covers 468 auditees, which include 167 national and provincial departments and 301 public entities with a total budget of R1.1-trillion for the year under review. Some of the biggest culprits were the Gauteng transport department with R1.9-billion, the Gauteng human settlements department with R1.9-billion, the Mpumalanga health department with R1.9-billion, the South African National Roads Agency with R1.6-billion and the Gauteng education department with R1.7-billion. In a world where the future supply of gold is uncertain, and where governments and central banks are behaving recklessly … there is a very real possibility that gold prices will go up dramatically over the next few years. Gold is like no other asset class. Gold has no counterparty risk. If you hold physical gold, you don’t need another party to make good on a contract or promise. This is not the case with stocks and bonds and virtually every other investment. If you own gold, you can rest assured that it will always have value at any time in the future. And, as illustrated in my example above, over the long-term, gold will maintain its purchasing power. One ounce of gold will buy as much goods and services today as it did years ago. History has shown us that every single fiat currency has eventually collapsed. And, when this has happened, barter systems have always emerged. Gold and silver make perfect barter, accepted by most around the world. In a dollar collapse, the price of items won’t mean much. Prices will increase rapidly. But, in such an event, individuals holding gold and silver will determine their metal’s value and decide what change to expect, not merchants. The law of supply and demand certainly doesn’t apply to silver. 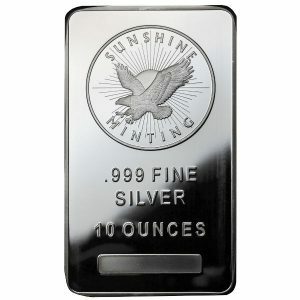 Overall, global demand has been very robust for silver, yet the price of the precious metal has drifted lower this year. 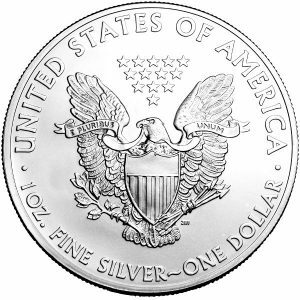 Demand for American Eagle silver coins has remained very strong, with year-to-date sales already reaching an annual record at 44.67 million ounces, breaking the full-year record of 44 million ounces in 2014. Sales in November were up 27% from October at 4.82 million ounces, an increase of 41% from November 2014. 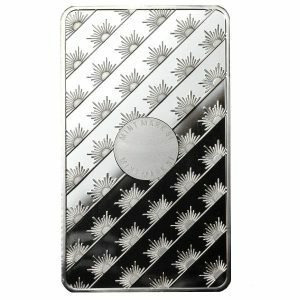 This surge in buying came after spot silver prices fell for five of the past six months to the lowest levels in more than six years in November. According to the GFMS team at Thomson Reuters, total silver supply is forecast to fall to 1,014.4 Moz in 2015, down 3% from the previous year. This decline is expected to be driven by flat mine production, a 5% drop in scrap return, and net de-hedging of 12.6 Moz. Mine production is slated to total 867.2 Moz this year, up 0.3% from a year ago. This would be the weakest performance since 2002, when mine production fell by 2%. Healthy increases in primary silver mine production, particularly in Mexico, were partially offset by losses in silver output from base metals mines. Scrap supply is expected to fall for the fourth consecutive year, continuing a downward trend that began after annual average prices and scrap levels peaked in 2011. 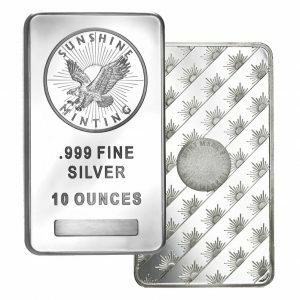 Silver bullion coin sales reached a fresh record high in the third quarter of this year, totalling 32.9 Moz, and are up 95% year-on-year, according to GFMS’s bullion coin survey. 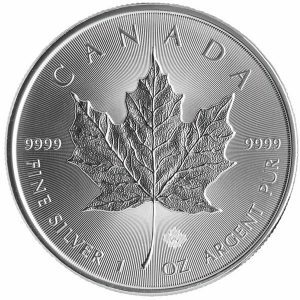 The slide in silver prices in July and August to six-year lows triggered a surge in buying in the silver coin market, particularly in North America where coin sales increased by 103% to a total of 23.6 Moz in the third quarter. 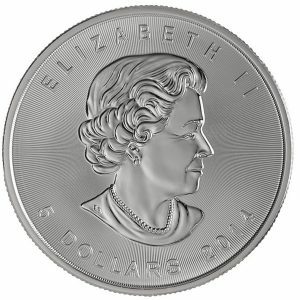 This largely unexpected surge resulted in an unprecedented shortage of current year silver bullion coins among the world’s largest sovereign mints. 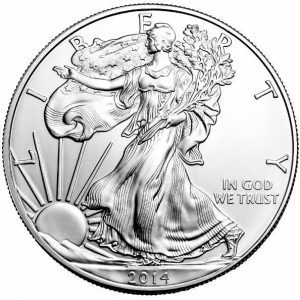 Silver coin demand is forecast to increase 21% in 2015 to total a record high of 129.9 Moz. Coin demand should account for 12% of physical demand this year, up from 10% in 2014 and just 4% ten years ago. Precious metals expert Michael Maloney believes we’re on the verge of a historic rally in silver prices. Maloney is one of the most respected authorities on gold and silver investing in the world. He’s also the author of the Guide to Investing in Gold and Silver, the top-selling precious metals investment book of all time. “The greatest wealth can be accumulated in the shortest period of time when gold and silver revalue themselves. I believe this has already begun, and I believe that this revaluation will be staggering in its economic impact as the perfect convergences of economic cycles are brewing the perfect economic storm. As the dollar continues to collapse, big investors will first turn toward gold and dramatically drive up its price. By the time the public catches on, gold will look pretty expensive to them. Everybody will then start hearing about silver being rarer than gold. In a frenzy, people will dive into silver, just as the stockpiles are practically diminished and production has practically stopped. Even though sentiment towards precious metal is now probably at all-time lows, investors need to realize NOTHING has changed in the global financial markets. Yes, it’s true that the propping up of the markets by the Fed and Central Banks has gone on longer than anyone envisaged, but, the unravelling of the world’s greatest financial Ponzi Scheme is still on its way.